As the year 2017 comes to a close and I reflect back, I am truly grateful and blessed in more ways than one can imagine. This year had many great reviews and interviews by some wonderful and talented independent artists, producers and DJ’s. We would like to thank Scott Galloway, the entertainment industry’s top biographer and writer for contributing to this issue. 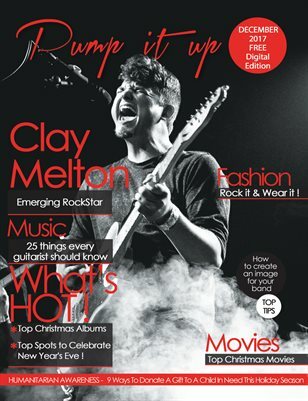 For 2018 we have a few surprises in the coming issues that we hope will pique your interest and keepyou smiling and enjoying Pump It Up Magazine! Have a safe, blessed and joyous holiday!